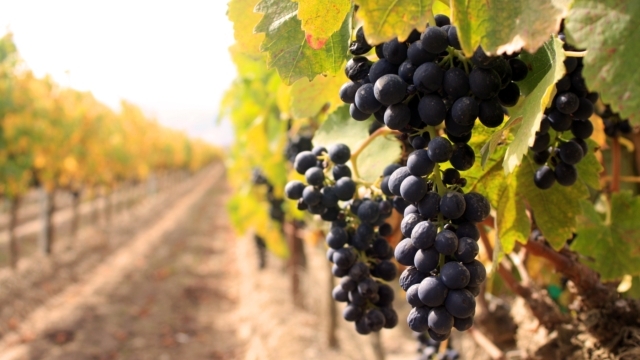 Nero D'Avola is a red-wine grape originating on Sicily, originally from the town of Avola. It is generally considered one of the dozen and a half or so of world-class red-wine grapes (those in boldface in the varietals list to the left of the page). Though many centuries old, Nero only emerged onto the world stage perhaps three decades ago. Prior to that, it was important, but only as a blending wine; now it is a "hot" monovarietal. Though Sicily may seem a relatively small place, it has quite a few fairly different microclimates, and the better wines from the island (including, of course, Nero) reflect those terroires, so the wines are far from fungible. The flavor qualities of a Nero D'Avola are distinctive, though (as always) not so easy to define. They tend to soft roundness and moderate alcohol levels, and are not as acidic as some Italiante reds. There is classically a dark cherry element to the fruit, but also a pleasing quality of what some call earthiness, some smokiness, and others "dust"; many associate that defining note with the volcanic soil that pervades Sicily, but that may be only psychological (volcano dust = dusty flavor). Nero wines almost all drink quite well when young, but the best will reward cellaring. 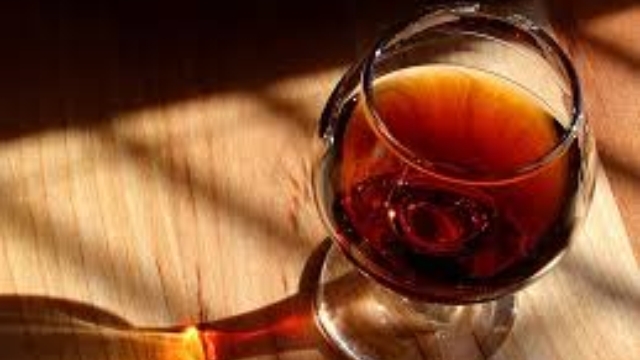 Factoid: Nero D'Avola is used in many of the fortified-wine blends sold as Marsala. "[I]its wines are compared to New World Shirazes, with sweet tannins and plum or peppery flavours." "Nero d'Avola produces dark red wines that are fairly high in alcohol (around 14%, and sometimes more) but also relatively high in acidity, which means they're not quite as overpowering as other high-octane reds like Zinfandel or Syrah. They're also intensely aromatic, with powerful, seductive aromas of cherry, raspberry and spice that practically billow out of the glass. They're usually quite soft and approachable—sometimes so soft that more tannic grapes such as Syrah are blended in to give the wines structure. " "It is often compared to Syrah because it likes similar growing conditions (Sicily has a hot Mediterranean climate) and exhibits many similar characteristics. Depending on production methods, Nero d’Avola can be made into dense and dark wine that is stored in oak barrels and suitable for aging, or young and fresh wines. Younger wines show plum and juicy red-fruit flavors, while more complex examples offer chocolate and dark raspberry flavors. Nero d'Avola typically has high tannins, medium acid and a strong body. However, it can also be very smooth if grown at higher elevations where the air is cooler and alcohol levels are restricted." "Nero d'Avola is one of those reds that you either love or hate. It's not pretentious. It can only be itself, and it can overpower, as well as complement, mild cuisine. It seems made to accompany lamb, venison and stronger beef dishes --things like a thick Texan steak with wild mushrooms. Nowadays, with culinary rules cast aside, there's really no entrenched wisdom, but our conservative opinion is that Nero d'Avola is destined to be appreciated by wine lovers in search of a 'real' red with about a thirteen percent alcohol content. This is one of those wines that would lose its luster if it were made from grapes grown anywhere but Sicily, with its unique [volcanic] soil." "Characteristics of the grape: dark, full-bodied, rich, velvety, black currant, blackberry, boysenberry, blueberry, black pepper, clove." "[T]his grape makes a rich, perfumed and velvety red wine that's easy to drink but that can take a bit of aging, works well in blends with other grapes, and can benefit from (but does not require) the judicious use of oak. That's a lot to like in a wine grape, and it's a description that could just as easily fit many of the most desirable red varieties." "There's some range in the wines -- from medium and fruity to rich and spicy -- this hot-weather loving grape never disappoints. . . The warm climate ensures fruity, full, higher alcohol wines (more ripeness = more sugar to be converted to alcohol in fermentation) and that's a winning bet for California, Australia, or Argentina wine lovers. The difference: there is always a touch of earth in these wines which you won't usually find in the New World gems." "Thriving in the warm climate, nero d'Avola can sometimes become over-ripe, resulting in flabby wines that lack balance. But with proper vineyard management, the result is a lush wine with a nice complexity that displays an appealing freshness in its youth." "[D]ark in color, big in fruit flavors, well-suited for oak and able to age for several years, although most are good drinking upon release." Pleasingly, many fine Neros are available at modest prices. Here are a few. Note that most or all of these winemakers have higher-grade Neros as well: be sure you know which one you are reading about or pricing. ♦ We opened the Nerojbleo to go along with beef stroganoff, and it ended up working perfectly well. The soft tannins kept it from overpowering the cream sauce, the rich black fruit and peppery spice complemented the diced beef tenderloin, and there was even a note in the wine that accentuated the crimini mushrooms. Did the wine simply bring out the mushrooms, or did it have a foresty mushroom note all its own? I couldn’t tell at the table, but an hour later, lingering with the last glass, I was still getting mushrooms. I like my wines to play magical tricks on me. ♦ In the glass, NeroJbleo had an intense ruby red color. The nose, was quite closed with aromas of marasca cherries and coriander. I expected a more intense nose. 14% was the label listed alcohol by volume. On the palate, the wine was dry, quite powerful and well-balanced. Silky, mellow tannins. Intense notes of dark chocolate and salt. Little fruit. NeroJbleo was full-bodied and had a lingering, earthy finish. NeroJbleo is a solid Nero d’Avola but I was a little bit disappointed by the nose but on the palate the wine revealed its true beauty. Baked pasta with semi-sun-dried tomatoes, mozzarella and parmesan pairs well with this wine. 3 / 5 stars. ♦ Ruby-colored and intense, this is one of Gulfi's many takes on Nero d'Avola; ripe blackberry and blueberry fruit, pistachio nut and earth tones sum up the nose. Concentrated and thick in the mouth with a tart note on the finish. 89 points. ♦ Feudo Maccari's 2010 Nero d'Avola is an absolutely ridiculous wine for the money. Dark cherries, flowers, licorice and tobacco come to life in this medium bodied, expressive wine. There is more than enough underlying structure to ensure at least several years of exceptional drinking. If this were Burgundy, the price would be twice as high…Feudo Maccari is located in Noto, one of the regions within Sicily where Nero d'Avola excels. ♦ Aromas of ripe plum, blue flower and baking spice lead the nose on this easy-drinking red. The chewy, straightforward palate doles out juicy black cherry, fleshy blackberry and a clove note alongside round tannins. It's made to drink young so enjoy soon. ♦ Salaparuta’s 2011 Passo delle Mule displays all the attractive features and intense personality of a Nero d’Avola wine. It has a complex cornucopia of tempting dark-cherry fruit aromas and layered, juicy fruit and spice flavors complemented by a velvety texture saturated with fine tannins. It is a warm, enveloping drinking experience. While the wine is full-bodied and flavorful it carries its weight well and is not excessive or overstated. 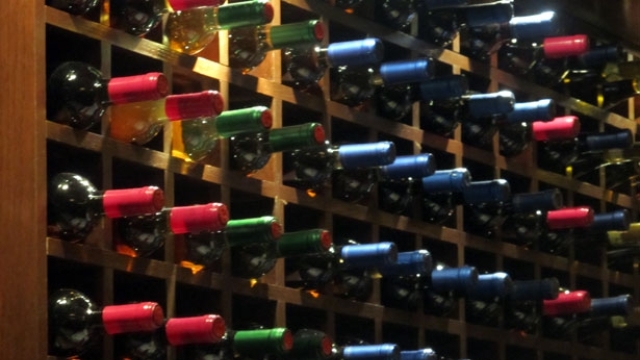 The wine’s relatively modest 13 percent alcohol level helps keep everything in balance. ♦ Mature plum, blackberry and raspberry sensations take center stage on this young Nero d'Avola. The ripe fruit is accented by notes of subtle oak, espresso, black pepper and mint, alongside drying tannins. 88 points. 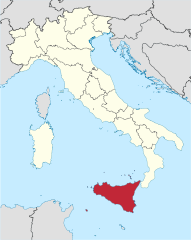 ♦ Sicily’s big signature red grape, nero d’Avola, finds juicy expression here, with fresh blackberry joined by a subtle cough-drop note – in a nice way. Pork or duck would make for a good canvas. 90 points. ♦ Balsamic from geraniums on the nose followed by dark fruit and aromatic herbs. In the mouth, the fruity refrain returns with a bit of added kirsch. The aromatic herbs are substituted by pungent spices that evoke licorice and cloves. Flavorful finish as well as tannins. 90 points. ♦ A well-above-average nero d'avola from the south of the island: rich, smooth cherry fruit with pleasant balancing acidity. ♦ In the glass: Deep burgundy, opaque in the center. On the nose: Poured cool with a brief decant and swirled vigorously, shows deep oak and soft fruit. From the aroma, seems like this will be soft and easy-going. On the palate: The primary elements on the palate are in fact bold, purple fruit, still quite bright in style. That is interesting and somewhat surprising at six years from vintage date. An oaky balance surrounds the full fruit, leading to a clean and solid finish. ♦ Eyes: This wine is an inviting, dark ruby in the center of the glass with a lighter, almost magenta rim. Nose: Almost Syrah-like, the nose is filled with rich red cherry aromas with sweet and savory spice. Nena noted "raspberries...lots of raspberries" as well. Tongue: Definitely low tannin, but somewhat complex with intense cherry flavors and lingering spicy vanilla hints creeping in toward the end. Very well balanced given this wine's considerable acidity...which, as I said earlier, I love with food. ♦ boasts a beautiful dense ruby/purple hue as well as aromas of scorched earth, black cherries, blackberries, charcoal, and graphite, full-bodied, powerful, pure flavors, and a long, heady finish. ♦ Smoky, with an aroma that evokes bacon, mushrooms and black olives, this Sicilian offers plenty of lush cherry and fruit flavors. There are enough tannins to keep the wine from turning sappy. ♦ Dark ruby garnet color. Wonderful nose of road tar, winey blackberries and cherries, with peachy and earthy components as well. . . The taste didn't quite meet the expectations set by the nose, but it was quite good nevertheless. Lots of fruit, earth, and old wine barrel flavors up front, but it wasn't as concentrated and weighty in the mid-palate as I thought it should have been. Finish was a tad shorter than I like too. Overall, I would rate the nose as excellent but the flavors and texture as good. 87. ♦ [It] has a beautiful, dense, purple hue. This vineyard gem is big, ripe and swaggering and suffused with opulent notes of ripe blackberries, prunes and spices followed by a warm, mouth-filling, rich taste that is balanced with good acidity. ♦ This lush and impressive red has a cherry aroma with a hint of spice and a smooth, velvety mouthfeel. The liquid is a deep garnet. It's unusual and exotic, but highly drinkable. With its appealing complexity and rich fruity flavor, the Fuedo tastes like an expensive bottle of wine. ♦ There is so much vanilla on the nose of this wine that it almost smells like a vanilla concentrate. It also shows some cherry aromas, tucked underneath the vanilla. The palate is nice and filled with ripe cherry flavors, a little coffee, and red plum. The acidity is sufficient and it has soft tannins, adding some texture to the mouth feel. It finishes with a little bit of spice. Overall, it’s a nice, well-balanced wine at a good price. Rating 86. ♦ This estate in southern Sicily has been showing great momentum the past few vintages. A pure expression of Nero d’Avola, this wine shows varietal characteristics of cherry, forest berry and toasted pistachio. ♦ Deep violet ruby. Sweet, lively dark fruit nose and raspberry. Gentle, fluid and not too demanding, but with good persistence and with ever so slightly liquorice bitter tannin. ♦ This wine is dark and smoky while black cherry aromas dominate. It has a fairly mild flavor with firm, mouth-drying tannins and a long finish. ♦ [It] is quite good, very rich and concentrated, with a velvet mouthfeel and a perfume of deep red fruit on the nose. On the palate, one senses raspberry jam, brandied cherries, and notes of chocolate and mocha. ♦ Deep, dark red. Aromatic with black fruit and a hint of creosote on the nose. Black plum, black cherry, and licorice come through on the palate. Medium to full-bodied with lively acidity, medium, dry tannins, and a long finish. ♦ [D]eeply colored, warm, generous red, softly dry, loaded with fruit (reminiscent of black cherry, black raspberry and forest floor nuances), with a fairly smooth, lingering finish. ♦ The wine is dark ruby-red in color and is medium-bodied. Lush ripe blackberry and cherry flavors combined with hints of smoke and vanilla, soft tannins and beautiful acidity result in a excellent Italian wine. Great value wine that can be enjoyed on its own or with your favorite pasta dishes. ♦ The 2008 Nero d’Avola Lamuri is one of the finest wines I tasted this year under $25. It is also a bottling that has improved dramatically over the last few years as Tasca has really dialed into an approach that has begun to payoff big time. The Lamuri showcases some of the more elegant qualities Nero d’Avola is capable of expressing. There is a wonderful clarity to the suave, caressing red berries and flowers, while the tannins possess a level of silkiness that elevates this wine to another level. ♦ Tasca’s 2010 Nero d’Avola Lamuri is flat-out gorgeous. Sweet floral and minty notes meld in a seamless core of deep, expressive red fruit in this impeccable, totally gracious wine. In 2010 the Lamuri impresses for its overall balance and pure class. This is one of the more refined, polished Nero d’Avolas readers will come across. It is also a fabulous value. ♦ Apparently Lamuri means love in the local Sicilian dialect where this great little wine hails from. Well, a few sips of this $14.99 beauty will have you head over heels as well. It's interesting to me that a wine of such balance and finesse can be produced in such a hot climate. Perhaps the 2500 ft. altitude of the vines and the mere 2.4 tons per acre yield help with the balance before the grapes are even in the fermenter. Clay, limestone and sandy soils also contribute nuance to the flavors. 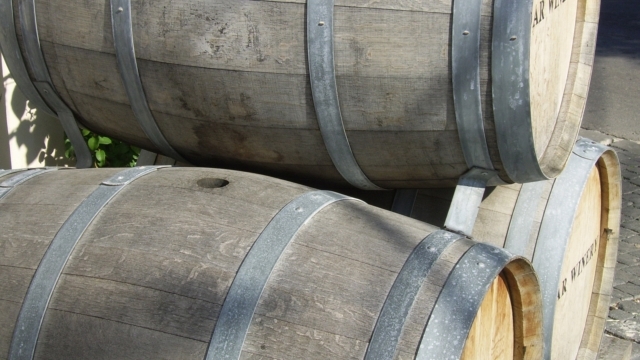 Once fermentation is complete, the Lamuri spends a year in new and used French oak barrels. . . The Lamuri leads with a translucent ruby color and wonderful bright red cherry and raspberry aromas complicated with smoke and herbal elements. The palate is medium bodied and smooth in texture with the bright red berries dominating and stony elements and a cinnamon note in the background. It finishes a bit short but very smooth with silky tannins. ♦ The 2009 Lamuri is Tasca's mid-range Nero d'Avola, although it is a wine that regularly overdelivers for its price. Sweet candied fruit, herbs and flowers meld together nicely in this polished, mid-weight red. The 2009 is a somewhat firm Lamuri that will require at least 6-12 further months in bottle. I especially like the intensity and drive of the finish. . . From top to bottom this is an impressive set of wines from Tasca d'Almerita. The estate seems to have honed in on a refined style across the entire range. ♦ A hot alcohol smell was prominent so I let the air get at it for about an hour. Dark ruby in colour, very subtle aromas of cherry blossom and rosemary emanated from the glass. The body was on the lighter side of medium, with a cherry flavor supported by faint vanilla notes. Elements of black pepper did their best to amplify the rather brief finish. Although quite smooth, I found the bottle to be lacking in that lush, rustic blend of rich fruits and spices that Nero d’Avola is celebrated for. I was anticipating a big velvety, hearty glass, and unfortunately encountered an adequate yet bland glass. ♦ I unfairly deny Nero d’Avola it’s own identity. Rather than describing it as having bright red fruits and cherry up front with medium to strong, sweet, smooth tannins and fantastic acidity, I usually describe it as a little bigger than pinot noir but not quite as dark as some shiraz. I don’t know why I do this. It’s the most important red wine grape in Sicily and has a growing international following. This particular wine has all of the characteristics I mentioned plus a dark fruit nose, blackberry maybe. The tannins are soft though noticeable and are entirely from the skins and stems, assuming there is stem contact, as this wine is made with 100% stainless steel fermentation. ♦ In my mind this particular bottle does not over- deliver. The nose is mediocre at best. I can taste some fruit and herb, but I don’t find much sweet or flower. The mid-palate has a good balance and is reasonably full but the legs are weak. The wine improves with food (pasta with marinara), like many Italian wines, but not dramatically. It’s not a terrible bottle of wine, but for $16.99 I expect more. ♦ Lamùri is a terrific value wine from Sicily that would pair well with pizza or backyard barbecues. The wine is plump, soft and easy and driven by bright berry fruit. A good choice would be the Tasca d'Almerita Tenuta Regaleali "Rosso del Conte" Contea di Sclafani (this is not the much pricier "Riserva del Conte").